Man, who wouldn’t be salivating just reading those three little words. I’m sorry. Cook, not chef. And to find something that they both like? Ha! To please my mollycoddled rug rats, I scoured my bible: “Cook’s Illustrated”. In addition to the tried and true recipes of my bud and chef Cathy Thomas, Cook’s Illustrated is my go-to play book. I think the Denver Broncos could have used one last weekend…a playbook, that is. By sheer fortune, Cook’s Illustrated had what sounded to be a delectable pasta dish… Spaghetti al limone. And it sounded pretty light and (relatively) healthy to boot and it was a huge change from my man-kitchen pasta repertoire. As an example, my from-scratch Alfredo sauce would make Fat Albert REAL happy. It is laden with luscious butter, cream and Parmigiano-Reggiano. The only healthy thing in it is the garlic and a dash of nutmeg. But man, its to die for! Oops. 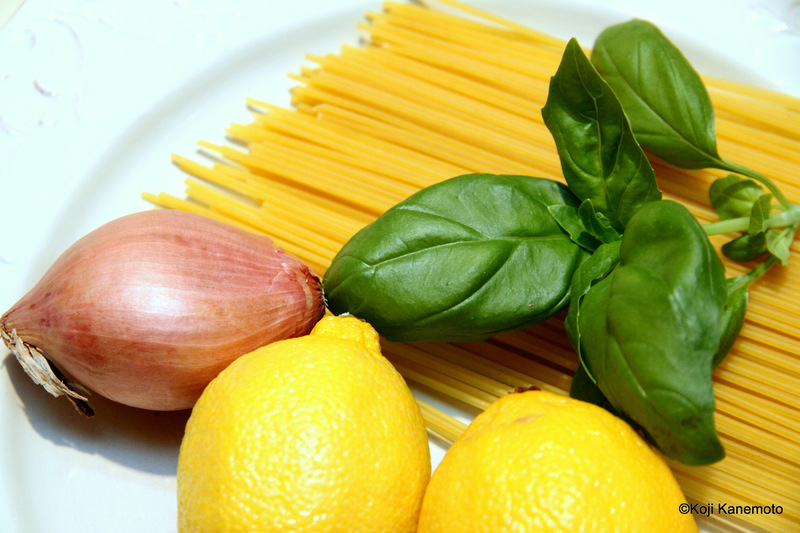 So I gave Spaghetti al limone a shot…and the kids loved it! Both of them. Ye-haw! Of course, garlic bread was a required accompaniment, making their smiles even bigger. In my attempt here, I should have used a bit more of the basil leaves; it surely would have added a bit more color and brightness. 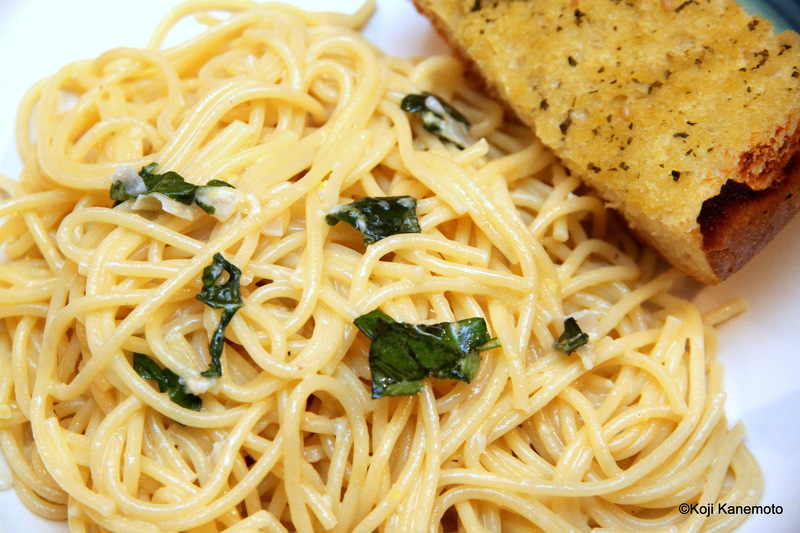 So whether or not you have kids to appease, engorge yourself on this pasta dish. It’s a great cure if you’re feeling down. Your palate will love it. Yes. It was that good. And a US Marine blogger intimated that my food pictures he saw were “dated”… meaning “Do I still cook”? Well, he don’t get any. This is one of our favourite dishes! It zings. I understand it is popular in Europe… I can “taste” why! Do you make it, too? You’re such a good Papa. It looks wonderful. Can I substitude the heavy cream with Greek yogurt? French-canadian my friend though I don’t mind being called French. My ancestor left France around 1665. Why is it these posts always make me hungry? Anyway, I am still working on the development of my plat de résistance: a peanut butter and jelly flambé. I can honestly say that my mouth watered as I read the title.